We collect certain information when you connect to or use Bluddle in various ways. This information may be information that can identify you as a person or non-personal information and is either collected automatically or as a result of your specific input of the information. All information collected in any way is referred to collectively in this Policy as "Information." All Information is currently processed and stored in the Bluddle’s servers. We don’t collect any personal information about visitors to our site. We collect the following Information when you sign up for Bluddle via your gmail account: your profile portrait, your full name and your gmail ID. We collect all of the above information automatically as part of the gmail sign up process. If you want us to delete the data we receive from gmail about you, please contact Bluddle Support. We collect the following Information when you sign up for Bluddle via your Facebook account: your profile portrait, your username, your gender, your birthday and your Facebook ID. We collect all of the above information automatically as part of the Facebook sign up process. If you want us to delete the data we receive from Facebook about you, please contact Bluddle Support. We collect the following Information each time you log in to Bluddle: your geographic location (specified by latitude and longitude), Name,Date of birth, Gender, Blood type information ,Ethnicity,preferences. We collect all of the above Information automatically as part of the log in process. In addition to the geographic Information collected when you log in, we automatically receive an approximation of your geographic location when you use the Service. When you use the Bluddle App on a mobile device, you can allow Bluddle to receive your more precise location by enabling or disabling location services through your mobile device settings. A main purpose of using Bluddle is to have a private conversation with your friends and make new friends. The information you enter in your profile, including your location (if you enable that feature) and photos you upload to your cover image, are visible to all Bluddle users within your age category. How Do We Use Your Information for Analytics? We may allow analytics providers to collect your Information within the Service and they may share it with us. If you would like your account Information permanently deleted, you can do delete option in Bluddle app or may contact Bluddle support and request permanent deletion. We will then delete all of your account Information. Our service is not directed to adult under 17 and we do not knowingly collect personal Information from adult under 17. If we learn that we have collected personal Information of a adult under 17, we will take steps to delete such Information from our files as soon as possible. Any Information that is collected is subject to the Policy in effect at the time such Information is collected. We may, however, modify the Policy from time to time. If we make any material changes to this Policy, we will notify you of such changes by posting them on Bluddle website or by other notification, and we will indicate when such changes will become effective. By continuing to access or use Bluddle after those changes become effective, you are agreeing to have your Information collected, used and disclosed as described in the modified Policy. We want user interactions to be as safe as possible on Bluddle. If you are a member of our teen community, Bluddle encourages you to discuss with your parent(s) or guardian(s) online safety issues for all of your social media memberships, including your Bluddle account. Notwithstanding any other provision of this Policy, Bluddle reserves the right, but has no obligation, to disclose any Information that you submit to Bluddle, if in its sole opinion, Bluddle suspects or has reason to suspect, that the Information involves a party who may be the victim of abuse in any form. Abuse may include, without limitation, elder abuse, child abuse, spousal abuse, neglect, or domestic violence. Information may be disclosed to authorities that Bluddle, in its sole discretion, deems appropriate to handle such disclosure. Appropriate authorities may include, without limitation, law enforcement agencies, child protection agencies, or court officials. Please Contact us with bluddle contact form if you have any questions about this Policy. 1.2 Third Party Notices. The Software and Bluddle Websites may include third party code that Bluddle, not the third party, licenses to you under this agreement. Notices, if any, for the third party code are included for your information only. Third party scripts, linked to, called or referenced from the Software, are licensed to you by the third parties that own such code, not by Bluddle. 2.1 By using the app, you agree that Bluddle may collect and use technical data and related information including but not limited to technical information about your device, system and application software that is gathered contemporarily to help improve the software and services. 2.3 The Service is available only to individuals who are at least 17 years old. We do not knowingly, directly or indirectly, collect or maintain information under the age of 17 and do not target the App, the Service, or the Site under 17. You are responsible to report your age if you are under 17. We may, in our sole discretion, refuse to offer the Service to any person or entity and change its eligibility criteria at any time. This provision is void where prohibited by law and the right to access the Service is revoked in such jurisdictions. UNLESS OTHERWISE EXPLICITLY STATED, THE SERVICES ARE PROVIDED "AS IS" AND ALL EXPRESS OR IMPLIED CONDITIONS, REPRESENTATIONS AND WARRANTIES ARE DISCLAIMED. 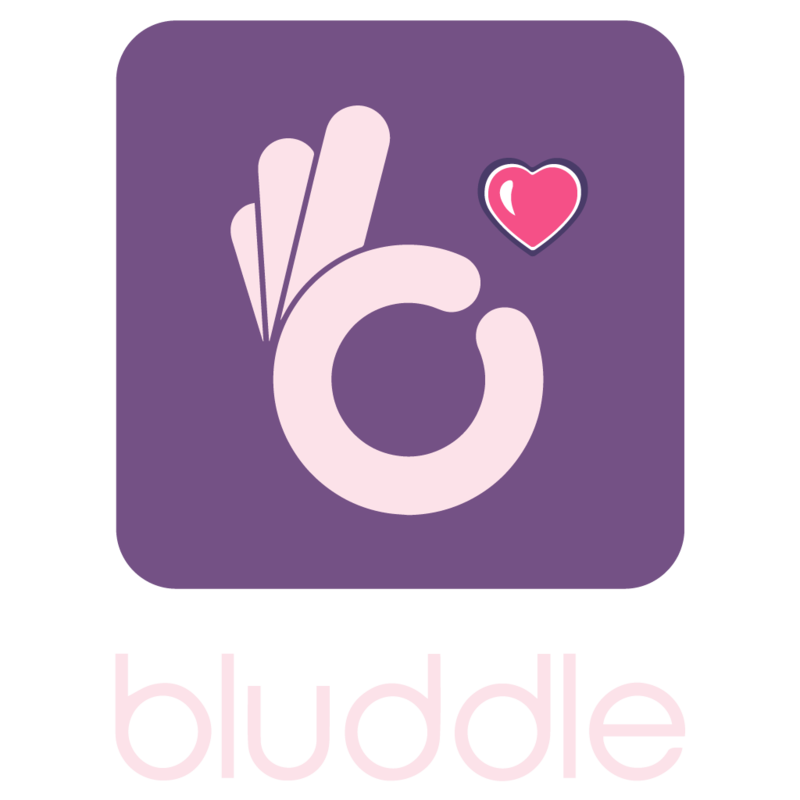 USE OF BLUDDLE DATING APP IN ANY SENSE (APP ALSO CONTAINS INFORMATION ABOUT BLOOD DIET,BLOOD PERSONALITIES TRAIT ,BLOOD DONATION ETC.) ARE PURELY AT YOUR OWN RISK AND BLUDDLE SHALL NOT BE HELD RESPONSIBLE FOR ANY CONSEQUENCES.YOU ACKNOWLEDGE AND AGREE THAT THE USE OF THE APPLICATION IS AT YOUR SOLE RISK AND THAT THE ENTIRE RISK AS TO SATISFACTORY QUALITY, PERFORMANCE, ACCURACY AND EFFORT IS WITH YOU. NO ORAL OR WRITTEN INFORMATION OR ADVICE GIVEN BY US SHALL CREATE A WARRANTY. YOU ARE SOLELY RESPONSIBLE FOR YOUR INTERACTIONS WITH OTHER MEMBERS. YOU UNDERSTAND THAT THE BLUDDLE CURRENTLY DOES NOT CONDUCT CRIMINAL BACKGROUND CHECKS OR SCREENINGS ON ITS MEMBERS. THE BLUDDLE ALSO DOES NOT INQUIRE INTO THE BACKGROUNDS OF ALL OF ITS MEMBERS OR ATTEMPT TO VERIFY THE STATEMENTS OF ITS MEMBERS. THE BLUDDLE MAKES NO REPRESENTATIONS OR WARRANTIES AS TO THE CONDUCT OF MEMBERS OR THEIR COMPATIBILITY WITH ANY CURRENT OR FUTURE MEMBERS. Bluddle may make changes to these Terms from time to time. Changes to the fair usage policies and/or Additional Terms will be posted on the applicable Bluddle Website. The changes will be effective when published. Please review the Terms on a regular basis. You understand and agree that your express acceptance of the Terms or your use of the Software, Products and/or Bluddle Websites after the date of publication shall constitute your agreement to the updated Terms. These Terms are personal to you. You can’t assign them, transfer them, or sublicense them unless you get Bluddle’s prior written consent. Bluddle has the right to assign, transfer, or delegate any of its rights and obligations under these Terms without your consent. Bluddle will provide you notice via email, written notice, or by conspicuously posting the notice on our Site. Generally, from time to time, Bluddle may offer additional products and services for purchase ("in app purchases") through the App Store, Google Play . If you choose to make an in app purchase, you will be prompted to enter details for your account with the mobile platform you are using (Apple, Android) and will be charged for the in app purchase in accordance with the terms disclosed to you at the time of purchase as well as the general terms for in app purchases that apply to your Account. However, you won't be eligible for a prorated refund of any portion of the fee paid for the then-current subscription period and other inapp purchases if you wish to discontinue. Bluddle offers you the opportunity to buy a SUPER VIP subscription. Bluddle SUPER VIP includes various benefits, such as sending unlimited messages, unlimited likes, seeing who’s interested in you and who viewed your profile, and other opportunities. Bluddle SUPER VIP can be purchased after you register, and you may subscribe to autorenewable subscription plans for various lengths of time. Once you have paid for any subscription, it is non-refundable.You cannot cancel the current subscription during the active subscription period.